Matt Haag, also known as “Nadeshot” in the gamer community, achieved a milestone many adolescents dream of. When he’d barely reached the legal drinking age, Optic Nadeshot’s net worth broke seven figures. In other words, Haag made a million dollars before his 23rd birthday by playing video games. If you ever grew up playing video games as a kid, it’s likely you thought to yourself, “If someone could pay me to play these all day, I’d be the happiest kid on earth.” The success of online gamers like Nadeshot or others like South Korean gamer, Lee Young Ho, who earned nearly half a million dollars by the time he was 22, may be from video games, but it wasn’t just luck. Competitive gamers invest countless hours of practice, research, networking, and competing to dial in their skills. 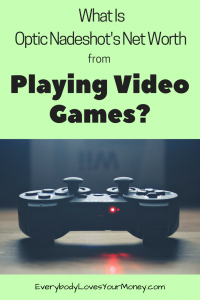 Long after the excitement of the game wears off, committed gamers stick with it until they know the best ways to conquer the computer-generated enemies, understand every hidden path, or defeat other gamers. Even still, how do these kids make all that money? The name “Nadeshot” is a Call of Duty reference to throwing a grenade then firing gunshots. Much of Haag’s money was earned by winning tournaments as a member of the Optic Clan competitive team. In 2014, he became the captain, raking in tens of thousands of dollars in tournament prize money. In 2015, Haag left the Optic competitive team and formed his own team called “100 Thieves” in 2016. Today, his YouTube channels, Nadeshot and Nadeshot Plays, have a combined following of nearly four million subscribers. Winning Tournaments – Haag has been competing in tournaments for specific games like Halo 2 and Call of Duty since he was in his teens. One of his primary reasons for winning so often is that he stuck with mainly one game and became a leading expert and top player. Sponsorships – Now that Nadeshot is a household name for gamers, Haag receives compensation from companies that request his endorsement on their products. Less known players can earn money as affiliates for companies, too. Even if Red Bull isn’t paying you $25,000 to brag about their energy drinks, you can review products on your website or YouTube channel and include an affiliate link. Remember to give an honest and informative review, and you’re legally bound to disclose that it’s an affiliate link. Streaming – An amateur gamer’s best bet for earning an income is to establish a following. As you’ve seen in the examples above, there are several ways to generate income once you’ve cultivated an audience. One interesting way is to stream yourself live and interact with your fans. The money comes in when they donate to you. To learn how some gamers have earned thousands by streaming, read here. As you can see, Optic Nadeshot’s net worth is a reflection of the vast income sources blooming via the Internet. One word of caution: If you’re considering the career of a professional gamer, be ready to invest a large amount of time. It’s an incredibly competitive industry. Treat it as you would any other job, and don’t skip other important responsibilities or activities outside of gaming. Check out other celebrities net worth with this other articles. 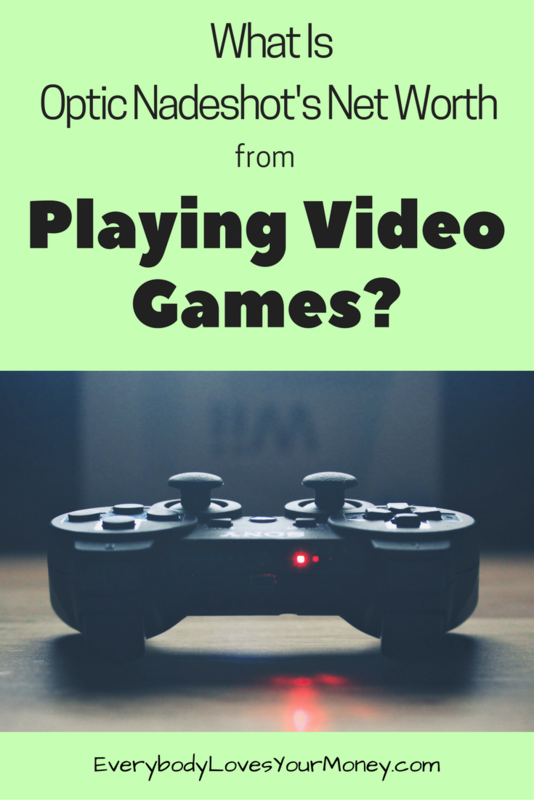 Have you ever tried to earn money playing video games? Tell us about it in the comments below!